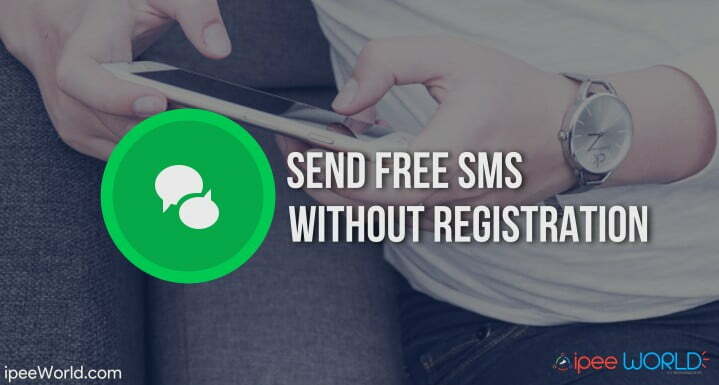 Do you want to send free SMS without registration to any number? Then this article is just for you. There is a lot of situation where you wanted to send SMS Message to someone through the Internet. When said through Internet, it doesn’t mean about sending messages from the Internet to Internet but sending SMS from the Internet to Mobile Number. Yes, you heard it right, you can send SMS through the Internet to Mobile, and in this article, we will see How? This method mentioned below is completely anonymous, that means if you want then only you need to reveal your identity or you can stay anonymous as you wish. There is no way to find you unless you tell them, that’s kinda cool, right? There are a lot of sen free SMS messages online services on the Internet, but finding a good one which is reliable is a pretty tough deal here. That is the exact reason why I collected some of the best working sites to send Free SMS Sites. After all, this is a pretty good idea to prank your friends as well. You can use this trick to prank your friends and have a lot of fun. And the best part is that it does not require any registration. All the service mentioned here are based on send free SMS without registration type meaning no need to sign up or registration. Recently, we shared some other prank articles like SMS Bomber, Love Calculator, etc and this article can also be added to that category also. Why you need Free SMS Sites? There are quite a lot of obvious reasons why you want to use free sms websites to send SMS messages to any people directly to their mobile without Internet Connection. For some reasons, let’s say that you want to text a person something and he is not having an active Internet pack and you are not having enough balance to send SMS, but you do have Internet in your Sim. This is one of the best cases where these SMS Sites comes in handy. As these websites don’t require you to sign up or register for an account, it comes, even more, user-friendly. Its kinda like plug and play websites which do not use any of your personal information for Registration or Login purpose. I will share more than 10+ different websites which provide the facility to send SMS without registration to any mobile number. If any service mentioned in this article doesn’t get it right for you, then you can move on to the next site mentioned in the article. Txtmenow is the first site on our list. 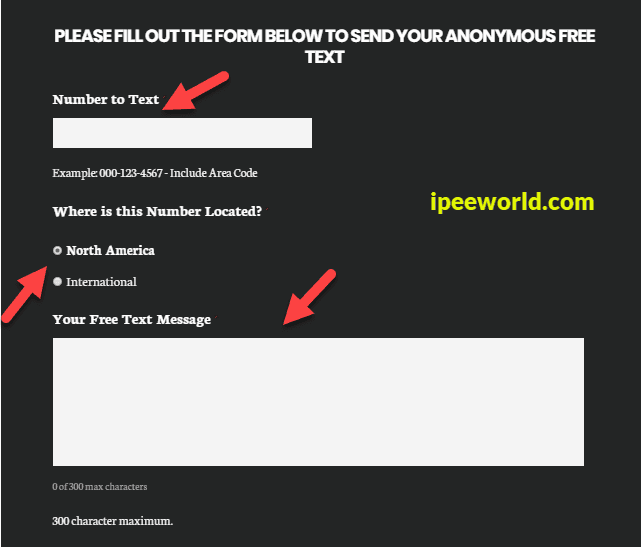 This is a pretty good site to send free SMS anonymously over the Internet. This site is specifically having two different options to send SMS. The first one is to send Message to people residing in North America, ie, the person you are sending the message to must have a North American Number. The second option is to go with the International Option. This is the option you should be selected if you want to send SMS to any person residing other than the United States. 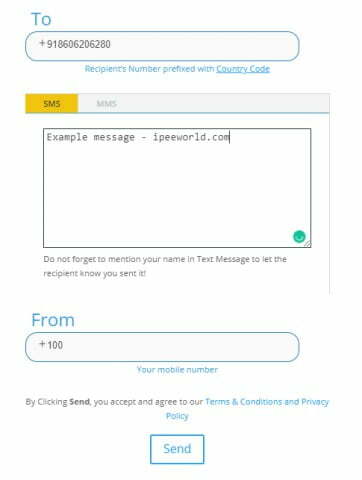 Refer the screenshot below to get a brief overview of how the form of sending SMS will look like. I will take a few minutes to send the SMS to the recipient. Send Anonymous Text is another great website for sending anonymous SMS to any number in the world. The best part of this site is the ability to send SMS to different countries like the UK, US and the number of other site are also included in their service. Although the functions of all the services mentioned on the website are pretty much the same. so, there is nothing special on this site, works similarly like any other site on the list. Instantly, a notification will appear telling that the SMS was delivered. Send Anonymous SMS is probably one of the most prank based Send SMS sites services. The best part of using this site is the feature that you will be able to spoof mobile number accordingly. That means you can decide what number should be displayed in the Sender’s section. How cool is that? To use this service with spoofing trick by following the steps below. Now a page will appear telling that the SMS is sent. 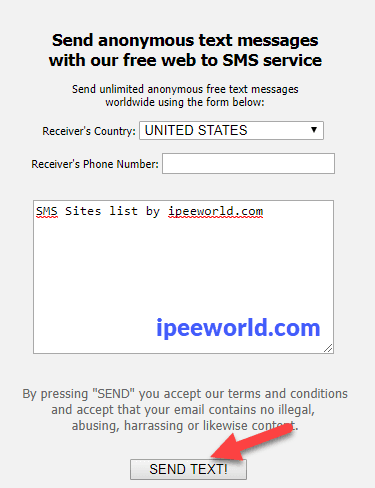 Here is the list of some other few working websites to send unlimited SMS anonymously. Your message will be delivered soon. If any site mentioned in this article is not working for you then move onto the next site in the list and it will work for sure. You can use these websites to prank your friends or to SMS someone at important messages. s they can’t find the identity of the number, you are completely anonymous while using this website. So, you can easily prank anyone. This website comes as a life saver as well. In an important situation if you want to send a message to someone who is not having an Internet connection, this trick comes really handy. Be sure to share this article and comment down below your thoughts doubts.